In my quest to make the Selija Knot Tee one piece, (the front) I didn’t initially take into consideration how it is constructed. 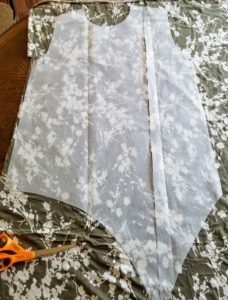 As you can see from the photo, the pattern looks as if it was just spliced in half – which is fine, but then you wind up omitting the hems on the shirt. After playing around with several ideas, I scrapped the idea all together and cut it as instructed. 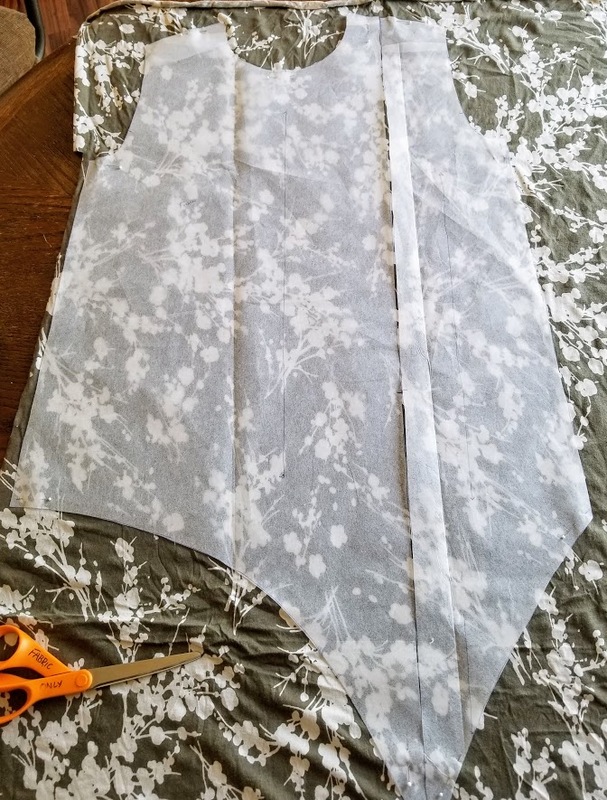 This time, I did lay it out exactly as in the photo so pattern matching was a breeze (not exact, I know, but close enough that it won’t bother me when I wear it). I’m hoping to work on this one today so I can wear it this weekend…. we’re actually going to have some seasonal, spring temperatures! This entry was posted in Uncategorized on April 27, 2018 by stacy. These hooded animal blankets are really designed for kids, but they’re so cute and quirky I sort of want one for myself! Everyone knows what a HUGE Wonder Woman fan I am. So, it only stands to reason that I need one of these mug rugs to use for my morning coffee. PomPoms are popular again this spring. Add some to your next scarf or or swim poncho. This pattern may be labeled as a “Lounge Dress”, but it’s certainly cute enough to be worn outside the house! I love the idea of this Gardener’s Knee Pad – plus it would make a great gift for Mother’s Day if your’s is into planting! Warmer temperatures means more time outside. If your kids love to collect (or just carry) items while on their bike rides, then you’ll definitely want to check out this handlebar bag tutorial. Looking for a poncho that’s perfect for spring? Then be sure to check out this hooded circle top tutorial. A lot of time summer clothing means smaller\no pockets. Instead of carrying a huge purse, here’s a cute cell phone wallet that’s big enough for all the essentials. While you’re there, be sure to enter to win a Hatch Embroidery Customizer and 3 Font Packs. Need a quick skirt for your little girl, but don’t want to mess with a pattern? This tutorial teaches you how to draft your own (and works for you too)! These bows for little girls are easy to sew and make a great stash buster project! This entry was posted in Uncategorized on April 26, 2018 by stacy. Two weeks ago I mentioned that I was working on a shirt for Easton’s birthday. While I did all the graphics on the computer, I didn’t execute the design until yesterday…. Procrastination never pays off and the way this shirt went is proof. First off, I realized that the printable vinyl that I owed was not heat transfer (just regular). Fortunately after digging around in my supplies I found some old sheets of EasyImage stashed away. I also never thought about the size constraints that I would experience with the “print then cut” option. With traditional heat transfer material you can make as long\wide as you like, so long as it fits on the large mat. However, since printable sheets are 8 1/2 x 11 and that a black box needs to be printed around the image so that the machine can “read” where to cut, your design can not be an larger than 9.25″. Boo. 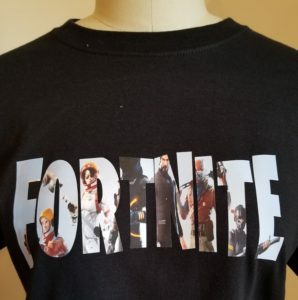 Shrinking my image caused it to be too small so I wound up having to stretch\elongate the design so it looks more substantial on the shirt… I think the images look a bit distorted, but no one else seemed to notice. I also opted to print on “dark fabric” transfer material which means that you don’t need to reverse your image, but also means that in order to iron the image onto the shirt you first release the paper backing… doing this would mean that in my design, all the letters would be loose and need to be reassembled. Consequently, I wound up using carrier paper to keep everything in place, then released the paper backing from the letters (which by the way, came off perfectly from the “excess” areas, but did not release from the letters themselves), then press. It was a lot of work for something that seemed so simple. Now let’s see how this washes up as I noticed that some of the ink came off on the carrier paper….. This entry was posted in Uncategorized on April 24, 2018 by stacy. I blinked and somehow this kiddo turns 10 today. Can you believe it? Between a spontaneous trip to Vegas, birthday festivities, and family coming in from out of town, I can honestly say that I haven’t thought about sewing in days… but now it’s back to the grind. Unfortunately, I have several projects that I need to get to (ones that have deadlines), but right now all I want to do is selfish sew. If I have time today, I’m seriously considering making a second Selja Knot Tee, but this time modifying the front to eliminate the seam and trying it out in a print. I’ll keep you posted on how that whole process goes! This entry was posted in Uncategorized on April 23, 2018 by stacy. My Jane modification sent me digging through my fabric stash yet again this week… this time stumbling across the So Sew English tattoo print that I had picked up last year. 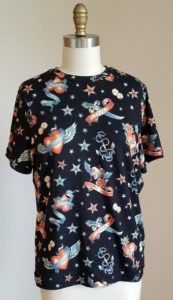 After I got it, I decided that I didn’t think Easton would want a double brushed poly tee (I have since found a more “manly” print that is in a cotton spandex) and wound up putting it in my stash. That’s when I decided to make another (plain) Jane. So this print is a bit more wild than what I expected. 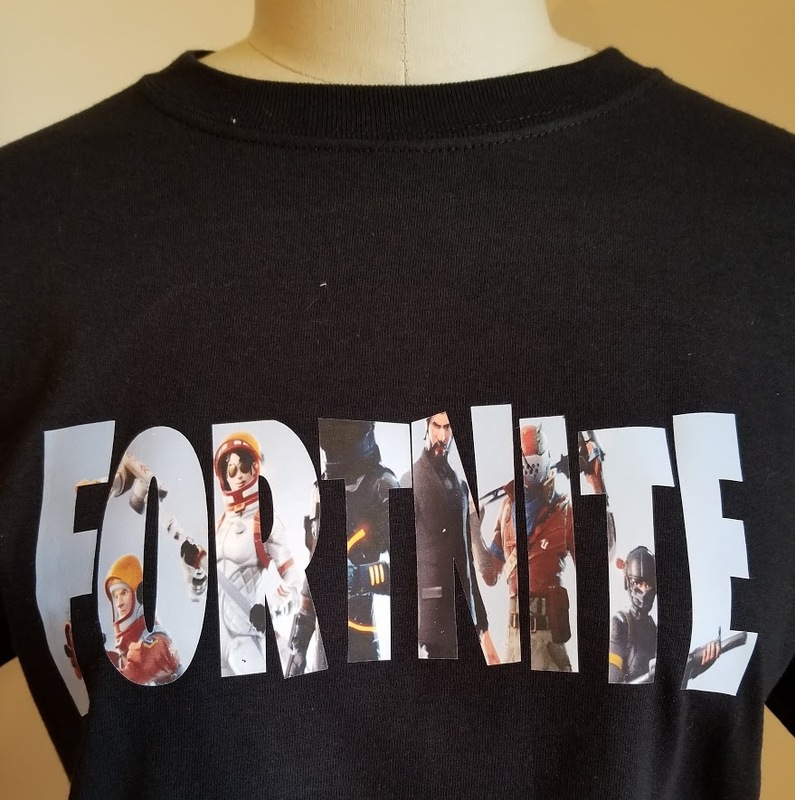 There’s a lot going on with this shirt… but, we’re headed to Vegas for a spur of the moment trip, so why not go with it? I do think that if I wear a jacket (I’m thinking Audrey in a light-color, distressed denim) would look pretty good with this though! This entry was posted in Uncategorized on April 20, 2018 by stacy. With Mother’s Day coming up, chances are you’ll be looking for gifts to sew that can pamper mom. Projects like this DIY Eye Pillow, a sleep mask, or these lavender sachets will be well received and are quick and easy to sew! Enter to win a $30 gift certificate to The Fabric Fairy. The Waterfall Top is a feminine springy tee that is sure to be a winner with your little girl. Unfortunately it only comes in sizes 7/8. Maxi dresses are still on trend this season so why not make one for yourself? Cozy fleece sheets aren’t just adults. This fitted crib sheet will keep baby warm too. Needing to update your kitchen supplies? Looking for a great shower or hostess gift? This pot holder and oven mitt set is the perfect way to use fun fabrics that coordinate with your decor. Learn how to create one of the more popular workout styles, the Crossback Tank. Not only is there a free pattern, but a video tutorial too! Ruffles on ruffles on ruffles! This cute girl’s skirt is perfect for spring sewing. Traveling soon? This toothbrush travel wrap holds so much more than just your toothbrush! Keep your important belongings safe while traveling when you whip up this money belt – it works perfect for running too! Ditch the store bought popcorn bags and air pop your own in the microwave with a DIY reusable fabric version. This entry was posted in Uncategorized on April 19, 2018 by stacy. Last week I had talked about modifying the Jane to make a knot tee. Since I had to go ahead and print off the pattern and put it together again, I thought, “Why not make a ‘regular’ shirt while I’m at it?” So I hunted around in my fabric stash and unearthed a lace\mesh type knit that I had purchased ages ago at Needle Nook Fabrics (and by ages, I think that I got this at least 5 years ago and forgot about it). 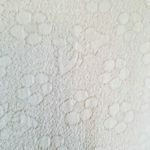 It’s a pretty simple looking shirt until you get up close and can see the texture to it. It was a booger to hem, though as my machine kept making thread nests\eating the fabric, etc. – so I wound up just using a zig zag stitch in these areas to finish. Fortunately the the stitches just blend right in so it’s not noticeable at all! 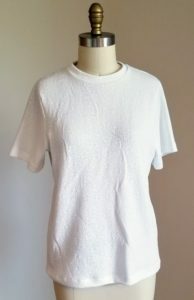 I think that this tee will work for spring or under some cardigans if we return back to “winter” this week. This entry was posted in Uncategorized on April 18, 2018 by stacy. It’s been quite some time since I’ve worked on a Named pattern, mostly because I found either their garments were either way too tight (and required too many modifications to make it fit the way I wanted) or had too much ease for my taste. But, because I wanted a knot tee, I decided to give them a try again…. and I’m glad I did because I love this shirt! 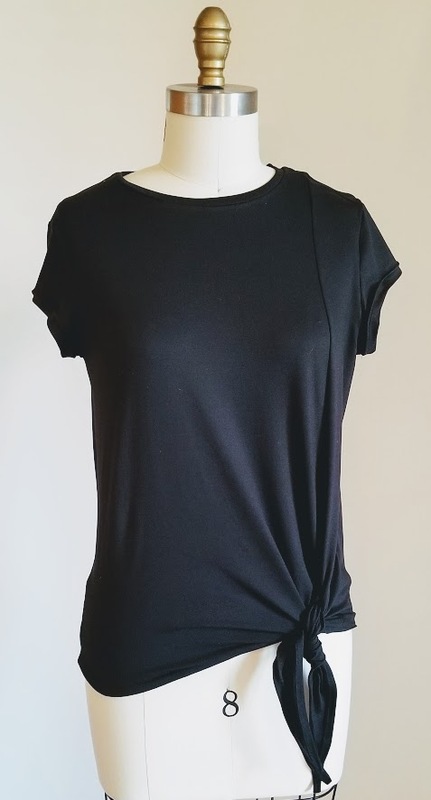 I wound up selecting the Selja Knot Tee for this project because it seemed to have a great drape, but still have the tie (not a knotted twist like the Harbor Knot), even though it was on the side and not the middle like I originally wanted. One thing that surprised me was that the printed pattern still needs to be traced after the pages are taped together- I can’t remember if this was always the case with Named. I was also surprised that the front has a seam along the left side – you can see it in the line drawing, but not on the model. As for the fabric, everyone can be surprised…. I went with a solid (I should probably mention that I made this in a double brushed poly, it was not my first choice in fabric, but it did sew up well and has great drape). I figured if this top worked out, it would look good with the Heat Wave Hot Pants I made last summer, but never wore because I couldn’t find a top that I liked to go with it (and ran out of time to make one). FYI, you can see the outfit together on my Instagram post. The sewing on this one really is easy – just be prepared for a bit of extra hemming (the ties add a bit more work than a standard tee). And the fit? I think it’s perfect! 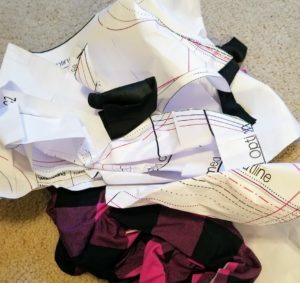 In fact, I love it so much I may make a second one, this time either color blocking the left side or morphing the pattern together to eliminating the seam all together. This entry was posted in Uncategorized on April 17, 2018 by stacy. I’m fairly convinced that spring will never arrive (we even had soccer cancelled because the wind chill was too cold! ), so I’m still tackling “winter” projects. My latest: Pattern for Pirate’s Women’s Henley. I had seen someone make this one up quite some time ago and was convinced I needed to make it too… I even had a plaid that I though would look perfect with it as well. Then, this weekend, I went to make it and couldn’t get past the first step – the placket. I folded the placket 3 times (2 different ways, too) and never could get the configuration that was listed in the instructions. I even rechecked my measurements to make sure that I didn’t cut wrong…. and after fiddling with it for ages, I thought, “maybe this shirt doesn’t need a placket”. Then I looked at my fabric and thought “this shirt is going to be too plaid otherwise” and just gave it up. 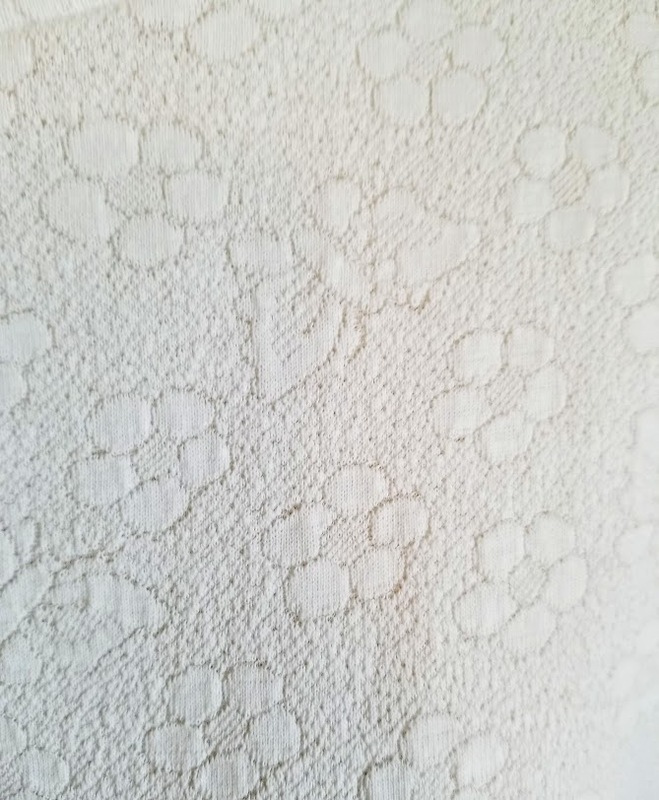 While I’m not new to plackets, this pattern just did not work out for me and I’m still scratching my head how anyone successfully made theirs (this pattern does make a fine shirt, or in my case, sweater). With that said, I think it’s finally time to put aside and the winter stuff and just dive into spring sewing – even if we won’t see it for weeks! This entry was posted in Uncategorized on April 16, 2018 by stacy. These are no ordinary leggings, the Lotus Legging features cool pin tucked panels to give this version a more runway feel. Living in Kansas I see plenty of wind… which is probably why this streamer windsock project caught my eye. All you need for this sweet sundress is a rectangle of fabric and some elastic thread. Keep your tips and toes in perfect shape with this travel mani\pedi kit. Scrabbles the raccoon is the latest free pattern from Fluffmonger and once again I need it in my life. Raccoons not your thing? How about this Sock Sloth or a sloth made from your fabric stash? Mother’s Day is rapidly approaching. If you plan on giving your mom a gift card, why not wrap it up in a pretty holder? Double gauze is the perfect summer fabric – it has a great airy feel and sews like a dream. Enter to win 4 yards of Metallic Elegance double gauze and try it for yourself. You don’t need to mess with cutting if you win this bundle of precut strips of Flo’s Little Flowers fabric. I weened myself off my planner (I’ve been working on going digital), but if I still had one, I’d definitely consider making this vinyl binder pencil case for it. This entry was posted in Uncategorized on April 13, 2018 by stacy.